Such a gorgeous photo and a beautiful tribute to your friend. Life is far to short. Definate FAV. A beautiful image and all the layers look great. A shame two little boys will grow up without their dad. What a gorgeous view you have! A wonderful photo and so fitting for your tribute. What an exquisite view you have. So very sorry for your young friends. Beautiful tribute for your friend. 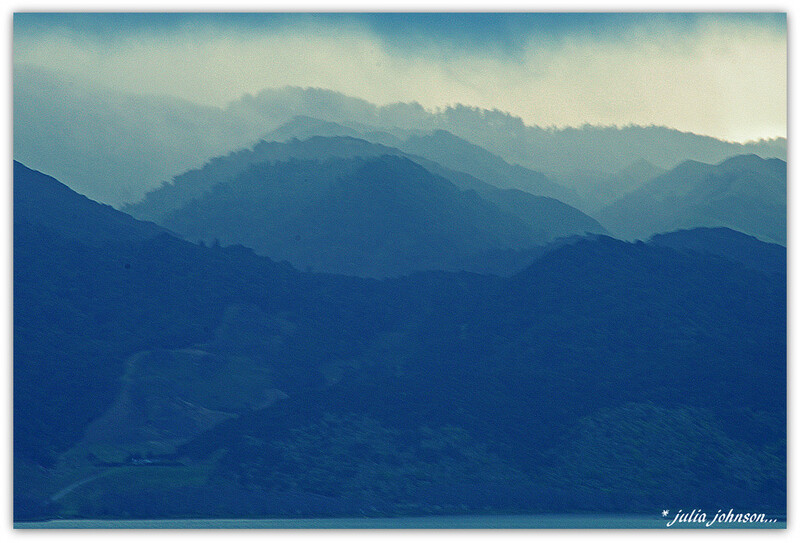 I love the fog and the layers. A beautiful image , very fitting.i agree it's a horrible disease . How very sad Julz, life is cruel sometimes. His family must be devastated, a very sad tearful funeral I gave no doubt. A photo that truly fits the day. I'm so sorry to hear about this loss. Your photo pays beautiful tribute to the emotions related to your day . . . Very fitting visual tribute Julz. Such a beautiful tribute. I like how the layers are separate and combined.